SemiProbe high frequency probing solutions provide a broad array of capabilities for measurements ranging from DC to over 300 GHz. 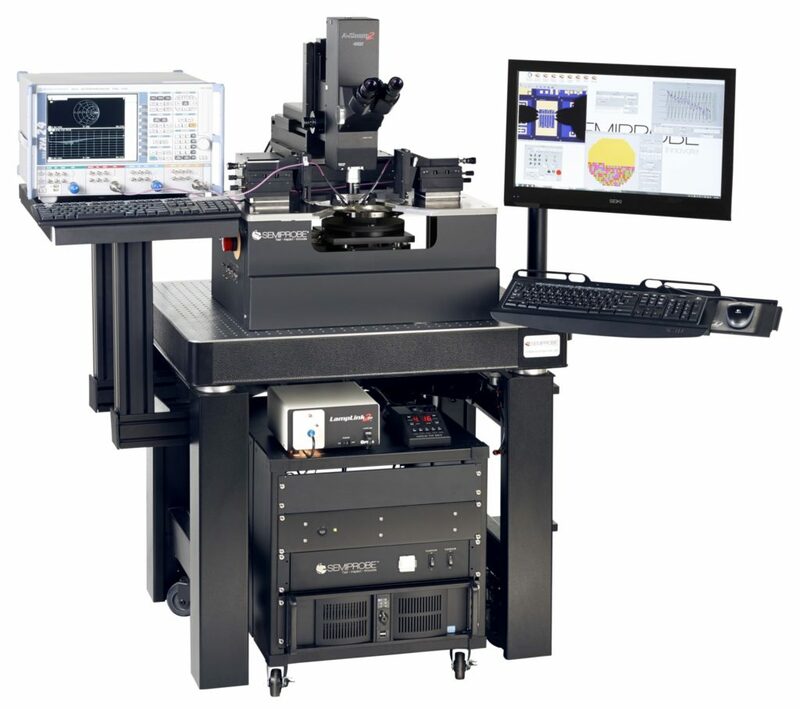 We design PS4L systems for high frequency applications with carefully selected components including chucks, probe arms, probes, cables, tuner modules, and calibration suites that are optimized for the frequency range that the application will operate in. High frequency probe systems may be built around any chuck and movement size that SemiProbe offers, and are available in manual, semiautomatic for fully automatic configurations. For the latest SemiProbe updates and show schedules.